With the New Year approaching, high school athletic administrators need to start turning their attention to the spring sports season. This means answering the usual questions: Are all of the teams’ schedules set? Will they have buses to transport them to road games? How much equipment can we afford? This last question is often the one that administrators struggle with the most. Schools have tight budgets, and splurging on new athletic apparel and equipment isn’t at the top of many, if any, agendas. As a result, athletic departments need to find affordable ways to supply their teams with top-notch gear. This is becoming increasingly difficult for schools looking to outfit their lacrosse teams. Lacrosse is one of the fastest growing sports in the country, which means that more and more schools are buying lacrosse gear. Not only has this created a bigger market for lacrosse brands, but it has also altered lacrosse players’ expectations about the gear they’re wearing. Who wants to be on the team with the shoddy uniforms that went out of style a decade ago when they could be sporting the new threads that their competitors are wearing? 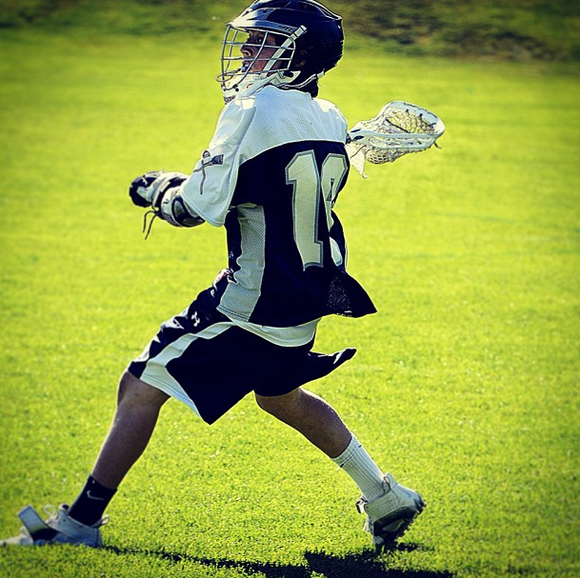 Here are three ways that your school can satisfy its lacrosse players and stay within its budgetary constraints. Procrastination is destructive in any context, but it’s particularly damaging when it comes to purchasing school athletic equipment. Simply put, waiting until the temperature warms to buy your lacrosse apparel is a costly mistake. Team dealers offer significant discounts during the off-season, so your school should capitalize and buy its lacrosse gear before the New Year begins. The passion in high school rivalries is part of what makes them so fun to be a part of, or even just to watch. However, “hatred” between schools should be all fun and games, and school administrators shouldn’t let their fans’ and players’ feelings about another school dictate their decisions, particularly when it can benefit their own institutions. One such example is consolidating lacrosse apparel and equipment orders with other league members. While players, coaches, and fans may be extremely reluctant to accept it, working with your competition to save money benefits everybody: the team dealer gets a large bulk order, and schools get discounted gear. The savings can be huge, especially when you’re working with team dealers that offer volume discounts on higher-end brands like Under Armour. Moreover, if your school and its competitors are looking for travel or warm-up suits, you can make them non-sport specific and save yourself future customization costs. Overall, buying with your competitors gives you more leverage, which means more savings. For lacrosse, this means opting for Champion, which can outfit both your men’s and women’s teams. If you need new uniforms that are affordable, Champion is the way to go. Yet, some of your players may want a flashier brand on their jerseys. If this is the case, your lacrosse team can wear big-name brands, such as Under Armour, on its game day uniform—as long as the rest of its gear, including practice pinnies, is comprised of budget brand apparel.